Michael Francisco Pineda (pronounced pin-EH-duh)...Instagram: @the_big_mike35...daughter Emilia...played shortstop before being converted to a pitcher by Seattle...learned to play baseball on a field next to a closed sugar plant; the outfield wall was marked by spare tires and there would frequently be cows grazing in left field...owns a farm in his native Dominican Republic, where he raises chickens in addition to growing a number of crops...enjoys spending time on his ranch and being with family...earned the nickname "Big Mike" from former teammate Derek Jeter during his time with the Yankees. Spent entire season on disabled list, recovering from "Tommy John" surgery on right elbow...Began rehab assignment in August, appearing in games for GCL Twins, Single-A Ft. Myers and Triple-A Rochester...Was shut down due to right knee discomfort he suffered throwing a bullpen in late August. Made fifth career Opening Day roster (4 with New York-AL: 2014-17 and 1 with Seattle: 2011) ... Started in Yankees Home Opener April 10 vs. Tampa Bay, retired the game's first 20 batters, before his perfect game was spoiled by Evan Longoria's two-out double in the seventh...was the first major league pitcher to take a perfect game into the seventh inning of his team's home opener since Houston's J.R. Richard (perfect through 6.1 IP) April 10, 1980 vs. Los Angeles-NL (Elias) ... Recorded 17 strikeouts and no walks in his first two starts, the most strikeouts without a walk through a pitcher's first two starts of a season in Yankees history, and tied for the most in AL history (Toronto's J.A. Happ in 2017, Boston's Roger Clemens in 1991) ... Recorded second career hit May 5 at Chicago-NL, singling off Kyle Hendricks ... Placed on 10-day disabled list July 14 with a right UCL injury...transferred to 60-day disabled list July 16, missing the remainder of the season... had his right UCL injury examined by Reds Medical Director Dr. Timothy Kremchek July 17, who agreed with the original recommendation of "Tommy John" surgery from Yankees Head Team Physician Dr. Christopher Ahmad...underwent "Tommy John" surgery July 18 in Cincinnati, performed by Dr. Kremchek. In his third season with the Yankees, went 6-12 with a 4.82 ERA (175.2IP, 94ER) in 32 starts…set career highs in innings pitched, starts, strikeouts (207), losses and home runs allowed (27)…opponents hit .266 (184-for-693, 27HR); LH .272 (82-for-302, 9HR), RH .261 (102-for-391, 12HR)…had 3.2 WAR (FanGraphs). Recorded a career-high 207K, sixth-most in the AL and the second 200-strikeout season by a Yankee since 2006 (CC Sabathia, 230K in 2011)…was the first 200K season by a Yankees right-hander since 2001 (Mike Mussina-214K, Roger Clemens-213K)…was the 14th-highest strikeout total in Yankees history…had the fifth-lowest innings total (175.2IP) by a 200K pitcher in AL history…finished ninth in the AL with a 3.91 K/BB ratio…had an AL-high 49K in June, the highest single-month strikeout total by a Yankee since CC Sabathia (50K) in July 2011. Led the AL and set a Yankees record with a 10.61 K/9.0IP ratio, the fifth-best mark in the Majors…the previous record by a qualifying pitcher in Yankees history was 10.25 by David Cone in 1997…ranked third among AL starters with a 27.4% strikeout rate (207K/756BF), trailing only Detroit's Justin Verlander (28.1%) and Tampa Bay's Chris Archer (27.4%)…was the second-highest strikeout rate in Yankees history (Cone-27.6% in 1997). Tallied at least 7K in 16-of-32 starts, equaling the most such games by a Yankee in a single season since 2006 (CC Sabathia-16 in 2011)…ranked among AL leaders in games with at least 6K (21, tied for fifth), 7K (16, sixth) and at least 8K (12, tied for fifth)…had at least 8K in a career-best four straight starts from 6/12-30, tied for the sixth-longest streak in Yankees history and tied for the second-longest in the AL in 2016…his 12 games with at least 8K were the most by a Yankee in a single season since Sabathia (12) in 2011. Induced a swinging strike on an AL-best 14.1% of his pitches, fourth-highest in the Majors…batters swung at 35.4% of his pitches outside the zone, third-highest among Major League pitchers (second-highest in the AL to Masahiro Tanaka, 36.5%)…opponents hit .187 (61-for-326) with 146K in at-bats ending with a slider (Brooks Baseball). His six wins were the fewest ever by a Yankees pitcher who made at least 30 starts; was one of two Major League pitchers with 30+ starts and no more than six wins in 2016 (San Diego/Chicago-AL's James Shields, 6-19 in 33GS)…had winless streaks of 10 starts (8/11-10/2), seven starts (4/13-5/17) and six starts (6/12-7/15), the longest, third-longest and fourth-longest streaks of his career…was 4-0 in 7GS vs. AL West opponents (2-12 in his other 25GS).Did not earn a win in 14 of the 16 starts in which he allowed 2R-or-fewer, the most such starts in a single season by a pitcher in AL history (most in the Majors since Atlanta's Tommy Hanson had 14 such starts in 2010)…his 4.05 run support average (79RS/175.2IP) was fifth-lowest in the AL…received 2R of support or fewer in 22-of-32 starts…had 14 no-decisions, second-most among Major League starters behind Tampa Bay's Jake Odorizzi (17). Allowed 2ER-or-fewer in 17 starts and at least 5ER in 11 starts…was 4-6 with a 3.90 ERA (122.1IP, 53ER) and 148K in 22 starts from June-October (team record: 12-10); was 2-6 with a 6.92 ERA (53.1IP, 41ER) in 10 starts in April/May (team record: 3-7)…his .340 opponents' BABIP was the highest by a Yankee since at least 1920; was also the highest BABIP in the AL and second-highest in the Majors in 2016 (Arizona's Robbie Ray-.355)…the 1.02 gap between his ERA (4.82) and FIP (3.80) was the largest in the AL and second-largest in the Majors to Robbie Ray's 1.14 (FanGraphs)…held opponents to a .235 (104-for-443) BA in his last 21 starts (6/7-9/30) after allowing a .320 mark (80-for-250) in his first 11 turns (4/6-6/2)…allowed a .233 (104-for-447) opponents' BA with less than two outs and a Major League-high .325 (80-for-246) mark with two outs (min. 162.0IP)…had at least as many strikeouts as hits allowed in 12 consecutive starts from 6/2-8/5. Issued a four-pitch walk to Josh Reddick on 4/19 vs. Oakland, his first four-pitch walk as a Yankee (had faced 1,009 batters as Yankee prior to allowing one)…was his first four-pitch walk since 9/21/11 at Minnesota w/ Seattle, snapping a stretch of 1,011BF without a four-pitch walk. Allowed a career-high 4HR on 4/24 vs. Tampa Bay, becoming the first pitcher in Yankees history to record at least 9K and allow at least 4HR in the same game (5.0IP, 10H, 7ER, 1BB, 9K, 4HR). Recorded a season-high 12K over 6.0IP (2H, 1ER, 3BB, 1HR) on 6/30 vs. Texas, tied for the fourth-highest single-game strikeout total in the history of the current Yankee Stadium…was the second-highest strikeout total of his career (16K on 5/10/15 vs. Baltimore). Recorded his 500th career strikeout on 7/6 at Chicago-AL (Tim Anderson in the fifth inning)…made his 100th career start on 9/30 vs. Baltimore. Made four appearances (three starts) in Major League spring training, going 1-1 with a 4.50 ERA (14.0IP, 14H, 7ER, 1BB, 15K, 4HR)…also tossed 5.0 scoreless innings in a minor league game on 3/25. In his third Major League season and second with the Yankees, went 12-10 with a 4.37 ERA (160.2IP, 78ER) in 27 starts...tied for second on the team with a career-high 12 wins...the team went 15-12 in his starts...Ranked 10th in the AL with a 3.5 WAR (FanGraphs), eighth with a 3.34 FIP and fourth with a 2.95 xFIP (min. 150.0IP)...his 1.03 gap between ERA (4.37) and FIP (3.34) was the second-largest in the Majors... Was on the 15-day D.L. with a right flexor forearm muscle strain from 7/30-8/26...made two rehab starts with Double-A Trenton and Triple-A Scranton/WB, going 0-1 with a 3.52 ERA (7.2IP, 3ER)...Was named AL "Player of the Week" for 5/4-10 after going 2-0 with a 0.60 ERA (15.0IP, 1ER), 22K and 1BB over two starts, including a career-high 16K on 5/10 vs. Baltimore...marked his first career weekly honor...was the first Yankees pitcher to win the award since Mariano Rivera on 9/25/11...Went 5-0 with a 2.72 ERA (46.1IP, 14ER) over his first seven starts through 5/10...extended his career-best winning streak to seven decisions (9/22/14-5/10/15), during which he went 7-0 with a 2.25 ERA (60.0IP, 15ER, 72K, 4BB) over nine starts...His AL-best 7.43 strikeout-to-walk ratio (156K, 21BB) was the highest ever by a Yankee who threw at least 150.0IP...ranked second in the Majors (Washington's Max Scherzer-8.12)...was the sixth-highest single-season mark in AL history (min. 150.0IP)...had five starts with at least 7K and 0BB, tied for most such starts in the AL...Finished seventh in the AL (min. 150.0IP) with 8.74 strikeouts per 9.0IP (160.2IP, 156K)...led the team in strikeouts... had two of the Yankees' three individual double-digit strikeout games, on Mother's Day (5/10 vs. Baltimore-16K) and the Fourth of July (7/4 vs. Tampa Bay-10K)... His 1.18 walks per 9.0IP ratio (160.2IP, 21BB) was second-lowest in the AL (min. 150.0IP) to Minnesota's Phil Hughes (0.93)...was the sixth-lowest in Yankees history, the lowest since Jon Lieber posted a 0.92 figure in 2004...led the AL with 12 starts with 0BB (fourth in the Majors)...his streak of 45 consecutive starts with 2BB-or-fewer since 8/15/11 w/ Seattle vs. Toronto is the second-longest active streak in the Majors (Phil Hughes-55)...did not issue a four-pitch walk to any of the 668 batters he faced, going to a three-ball count on just 87 of them (13.2%)...issued 7BB to the 349 right-handed batters faced in 2015...Recorded a career-high 16K on 5/10 vs. Baltimore, tying the second-highest single-game strikeout total in Yankees history (7.0IP, 6H, 1ER, 0BB, 16K, 1HR)...was 2K shy of Ron Guidry's team-record 18K on 6/17/78 vs. California...tied David Cone's Yankees single-game record for strikeouts by a right-handed pitcher...matched the third-highest strikeout total in the Majors in 2015 (Cleveland's Corey Kluber-18K, 0BB on 5/13/15 vs. St. Louis, Washington's Max Scherzer-17K, 0BB on 10/3/15-G2 at New York-NL, Scherzer-16K, 1BB on 6/14/15 at Milwaukee)...set a modern era (since 1900) American League record and tied the Major League record for the most strikeouts in a start of 7.0IP-or-fewer...was the first to do it since the Phillies' Cliff Lee (16K in 7.0IP) on 5/6/11 vs. Atlanta...posted the first game in Yankees history with at least 16K and no walks, breaking the previous team record for strikeouts in a game with no walks (13K)...recorded six of his first seven outs, eight of his first 10 and 14 of his first 17 via strikeout...struck out six consecutive batters from the last out of the fourth to the second out of the sixth...had multiple strikeouts in all seven innings...Allowed a .278 (176-for-634) opponents' BA; LH .272 (82-for-302), RH .283 (94-for-332)...had the seventh-highest opponents' BABIP (.335) in the Majors (min 150.0IP)...opponents hit .325 (39-for-120) with RISP, sixth-highest in the Majors (min. 100AB w/ RISP)...Of his 27 starts, allowed 1R-or-fewer 10 times, 4R-or-more 12 times and 2R-or-3R just five times...allowed at least 4R or 1R-or-fewer in each of his final 12 starts (beg. 7/4)...the Yankees were 13-2 when he allowed 3R-or-fewer...Went 5-5 with a 4.52 ERA (89.2IP, 45ER) in 15 starts at Yankee Stadium... allowed 2R-or-fewer in six of his first seven home starts, going 4-1 with a 2.36 ERA (45.2IP, 12ER)...permitted at least 4R in six of his last eight home starts, going 1-4 with a 6.75 ERA (44.0IP, 33ER)...ranked third in the AL (seventh in the Majors) with a 6.43 strikeout-to-walk ratio at home (90K, 14BB)...was tied for fifth in the AL with 16HR allowed at home, and his 1.61 HR per 9.0IP was fifth-highest in the AL...Went 7-5 with a 4.18 ERA (71.0IP, 33ER) in 12 road starts...led the Majors with a 0.89 BB per 9.0IP ratio on the road, issuing walks in just 5-of-12 starts...led the AL (second in the Majors) with a 9.43 strikeout-to-walk ratio on the road (66K, 7BB)... allowed 5HR, as his 0.63 HR per 9.0IP ratio on the road was fifth-lowest in the AL...extended his streak of road starts with 1HR-or-fewer to 25 starts...won a career-best four consecutive road starts from 9/28/14-5/5/15, defeating all four AL East opponents during the streak...On 4/29 vs. Tampa Bay, snapped his streak of 585 batters (146.1IP) without a hit-by-pitch when he hit Brandon Guyer in the fourth inning...had not hit a batter since 7/30/11 vs. Tampa Bay w/ Seattle (Sean Rodriguez)... Had a 26-start streak without inducing a GIDP from 7/19/11-4/24/15, tied for the third-longest such streak in the Majors since 1945...Had a no-hit bid through the first six innings of his 6/17 start vs. Miami before allowing a HR to Yelich to lead off the seventh...marked his third career start with at least 6.0IP and 1H-or-fewer...was the first start by a Yankee with at least 9K and no more than 1H since CC Sabathia on 7/26/11 vs. Seattle (7.0IP, 1H, 14K)...Threw his first career complete game (8.0IP) in a loss on 6/28 at Houston, tying a career high in innings...Went 2-0 with a 1.42 ERA (19.0IP, 3ER, 1BB, 23K) in five starts in spring training. Made 13 starts in his ﬁrst season with the Yankees, going 5-5 with a 1.89 ERA (76.1IP, 16ER)…prior to Pineda,the last Yankees pitchers to record an ERA of 2.00 or lower as a starter (min. 10GS) were Ron Guidry in 1978 (35GS, 1.74 ERA, 273.2IP, 53ER) and Spud Chandler in 1943 (30GS, 1.64 ERA, 253.0IP, 46ER)... Held opponents to a .200 batting average (56-for-280), the lowest mark for a Yankees pitcher as a starter(min. 75.0IP) since Dave Righetti held opponents to a .196 mark in 1981 (75-for-382, 105.1IP)... Produced an 8.43 strikeout-to-walk ratio (7BB, 59K), the highest-ever mark for a Yankees pitcher (min.75.0IP)…the previous Yankees record of 6.92 was set by Mariano Rivera in 2001 (80.2IP, 12BB, 83K)... Issued 0.83 walks per 9.0IP, the lowest mark ever for a Yankees pitcher (min. 75.0IP)…David Wells set the previousclub record of 0.85 in 2003 (213.0IP, 20BB)…was the Majors' second-lowest mark in 2014 (Phil Hughes-0.69)... Among pitchers who made at least 13 starts in 2014, Pineda ranked ﬁrst in opponents' OBP (.219), second inERA (Clayton Kershaw-1.77) and strikeout-to-walk ratio (Phil Hughes-11.63) and fourth in opponents' battingaverage (Johnny Cueto-.194, Clayton Kershaw-.196, Felix Hernandez-.200)... Was one of only three pitchers in 2014 to record at least 75.0IP without hitting a batter (also Cleveland's Zach McAllister-86.0 IP and Minnesota's Anthony Swarzak-86.0IP)... Recorded at least 5.0IP and allowed 1ER or fewer in nine of his 13 starts…allowed 2ER or fewer in 12 of his starts... Made his Yankees debut in 4/5 loss at Toronto (6.0IP, 5H, 1ER, 0BB, 5K)…marked his ﬁrst Major League appearance since 9/21/11 at Minnesota (w/ SEA)…earned his ﬁrst victory as a Yankee in 4/10 win vs. Boston (6.0IP, 4H, 1ER,1HR, 2BB, 7K)…was his ﬁrst win since 7/30/11 vs. Tampa Bay (w/ Seattle)... Pitched 6.0 scoreless innings in a 2-0 Yankees win vs. Chicago-NL on 4/16-G2 (4H, 1BB, 3K)…became the ﬁrstpitcher to allow one-or-fewer earned runs and pitch at least 6.0 innings in each of his ﬁrst three-or-more games as a Yankee since Kevin Brown accomplished the feat in 2004 (also 3GS)…also became the ﬁrst pitcher to recordat least 6.0IP and allow ﬁve-or-fewer hits in each of his ﬁrst three games as a Yankee since Denny Neagle did sofrom 7/18-28/00 after being traded from the Reds... Was ejected in the second inning of 4/23 loss at Boston by HP Umpire and Crew Chief Gerry Davis for havinga foreign substance on his neck…was suspended by MLB for 10 games on 4/24 and reinstated on 5/6... Was placed on the 15-day disabled list with a right shoulder muscle injury on 5/6…was transferred to the 60-day D.L. on 6/3…made rehab appearances with Triple-A Scranton/Wilkes-Barre on 8/3 vs. Syracuse and 8/8 vs. Columbus, combining to go 0-1 with a 1.17 ERA (7.2IP, 9H, 1ER, 1BB, 11K)…was removed from the 60-day D.L. on 8/13 after missing 87 games... Produced a 1.78 ERA (30.1IP, 6ER, 1BB, 19K) in ﬁve starts from 8/13-9/5, but the Yankees went 1-4 in those games…on 9/5 vs. Kansas City, Pineda became the ﬁrst Yankees pitcher to lose a 1-0 game on an unearned run (7.0IP, 3H, 1R, 0BB, 4K) since Kenny Rogers did so at Anaheim on 5/28/96 (credit: Elias)... Pineda's fifth-inning walk of Ryan Haniganon 9/16 at Tampa Bay snapped a streak of 119 consecutive batters faced without issuing a walk or a hit-by-pitch, spanning 30.2IP and parts of six starts (8/20-9/16)...according to Elias, it was the longest such streak by a Yankee since David Wells faced 122 consecutive batters without issuing a BB or HBP from 9/7-28/03…Pineda recorded at least 6.0IP and issued 0BB in four consecutive starts from 8/25-9/11, joining David Wells as the only Yankees since 1973 to produce such an outing in four-or-more consecutive starts (Wells-four times)... Earned his fourth win of the season on 9/22 vs. Baltimore, allowing only one hit in 7.1IP during a 5-0 Yankees victory (1BB, 8K)…allowed one-or-fewer hits in a start for the second time in his career (also 1H in 6.1IP w/SEA on 7/30/11 vs. TB)…became the ﬁrst Yankees pitcher to allow one-or-fewer hits and throw at least 7.1innings in a start since CC Sabathia did so on 9/2/10 vs. Oakland (8.0IP, 1H)... Started the Yankees' ﬁnal game on 9/28 at Boston, earning the win (6.1IP, 3H, 1ER, 0BB, 10K)…became the ﬁrst Yankee to record at least 10K and allow three-or-fewer hits without walking a batter since Randy Johnson accomplished the feat on 7/26/05 vs. Minnesota (8.0IP, 2H, 11K)…was the ﬁrst Yankee to accomplish the featagainst the Red Sox since Mike Mussina on 9/2/01 at Boston (9.0IP, 1H, 13K)... Went 2-1 with a 1.20 ERA (15.0IP, 2ER) in four oﬃcial spring training starts. Began the season on the 60-day disabled list recovering from right shoulder surgery performed on 5/1/12. Began a rehab assignment with Single-A Tampa on 6/9 and combined to go 2-0 with a 2.82 ERA (22.1IP, 7ER) in five rehab starts with Tampa, Double-A Trenton and Triple-A Scranton/Wilkes-Barre (9R, 10BB, 22K). Was returned from rehab, reinstated from the 60-day disabled list and optioned to Scranton/WB on 7/7. In six total starts with the RailRiders, went 1-1 with a 3.86 ERA (23.1IP, 10ER). Missed the entire season on the disabled list...opened the year on the 15-day disabled list...underwent season-ending surgery on 5/1 at the Hospital for Special Surgery in New York to repair an anterior labral tear in his right shoulder...the procedure was performed by Dr. David Altchek with assistance from Yankees team physician Dr. Christopher Ahmad...was transferred to the 60-day DL on 5/4...Made six official Spring Training starts with the Yankees, going 1-0 with a 5.68 ERA (19.0 IP, 12 ER) before being sidelined with an original diagnosis of right shoulder tendinitis...had his one extended Spring Training start on 4/21 cut short. Went 9-10 with a 3.74 ERA (171.0IP, 71ER) in 28 starts with the Mariners in his firstMajor League action...opponents batted .211 (133-for-629, 18HR); LH .237 (77-for-325, 8HR), RH .184 (56-for-304, 10HR)...his .184 opponent average vs. right-handerswas a Major League low (min. 225 batters faced) ... Finished fifth in American League "Rookie of the Year"Award voting, leading all AL rookies in strikeouts (173)and K/9.0IP (9.11), ranking second in innings pitched,opponents batting average (.211) and quality starts(19), tying for second in starts and ranking fourth inwins...both his strikeout-to-walk ratio (3.15, 173K,55BB) and strikeouts/9.0IP are the second-highest alltime by a qualifying AL rookie behind Brett Anderson(3.33, 2009 w/Oakland) and Herb Score (9.70, 1955 w/Cleveland), respectively...fi nished second among allAL pitchers in K/9.0IP in 2011, trailing only Toronto'sBrandon Morrow (10.19) ... His 173K were fifth-most by any pitcher at age 22 oryounger since 1969, trailing only Dwight Gooden(276K in 1984), Kerry Wood (233K in 1998), Tom Griffin(200K in 1969) and Bobby Witt (174K in 1986)... werethe sixth-most by an AL rookie over the last 30 yearsand second-most all time by a Mariners rookie behindMark Langston's mark of 204 in 1984 ... Was named to the American League All-Star team as areplacement for Detroit's Justin Verlander after postingan 8-6 record with a 3.03 ERA (113.0IP, 38ER) in 18 startsin the first half...became the second rookie pitcher inMariners history to be named to the All-Star team (alsoMatt Young in 1983)...tossed a scoreless third inning with 2K in the game, becomingthe first rookie AL All-Star with at least 2K since Don Schwall in 1961 ... Opened the season in the Mariners' starting rotation and-at 22 years, 72 days (as ofMarch 31)-was the third-youngest AL player on a 2011 Opening Day roster, behindKansas City LHP Tim Collins (21 years, 222 days) and Chicago-AL LHP Chris Sale (22years, 1 day)...became the first Mariners rookie pitcher to make the club's OpeningDay starting rotation since Freddy Garcia in 1999 ... Made his Major League debut on 4/5 at Texas, allowing 5H and 3ER in 6.0IP (1BB,4K) while recording the loss...struck out his first batter faced (Ian Kinsler) on threepitches...was the first Seattle rookie pitcher to make his Major League debut as astarter since Felix Hernandez on 8/4/05 ... Earned his first Major League win on 4/12 vs. Toronto (7.1IP, 5H, 2R, 1ER, 2BB, 7K) ... Was named the April AL "Rookie of the Month," going 4-1 with a 2.01 ERA (31.1IP,7ER) in five starts ... Recorded his first Major League hit in 6/23 loss at Washington, a sixth-inning singleoff Jason Marquis ... Won just one of hisfinal 11 starts of theseason beginningon 7/9, going 1-5with a 5.71 ERA(63.0IP, 40ER) overthe stretch ... Reached the All-Starbreak with 113K,becoming the firstrookie pitcher inMariners history torecord at least 100Kprior to the All-StarBreak... was justthe fourth rookiepitcher in the Majorsover the previous 25years (1987-2011) torecord at least 113Kby the break: alsoKerry Wood (139Kin 1998), DaisukeMatsuzaka (123Kin 2007) and HideoNomo (119K in 1995) ... Struck out a career-high10 batters andallowed 1H in 6.1IP in7/30 win vs. TampaBay...combinedwith Jeff Gray(1.2IP) and BrandonLeague (1.0IP) on thesecond team one-hitter in Mariners franchise history...became just the second Mariners starting pitcherto throw at least 6.0 innings, allow 1H or less and strike out at least 10 batters, joining Randy Johnson whoaccomplished the feat six times (last: 7/16/98 vs. Minnesota) ... Went winless over his final seven starts of the season, despite posting quality starts in five of those contestsand compiling a 3.60 ERA (30.0IP, 12ER) over his final five outings... each of his final seven starts were decidedby three runs or less with the Mariners getting shutout in two of the contests. Named the Mariners Pitcher of the Year...combined to go 11-4, 336 (52 ER, 1391 IP)with 154 strikeouts in 25 starts with West Tenn (AA) and Tacoma (AAA)...Finalist for the USA Today Minor League Player of the Year...Tied for lead among Mariners minor leaguers with 154 strikeouts (with Mauricio Robles)...Went 8-1 with 222 ERA (19 ER, 770 IP) in 13 starts with West Tenn...Promoted to Tacoma on June 21 and made Rainiers debut with 60 shutout innings (1 H, 3 BB, 5 K) June 23 vs Salt Lake City...went 3-3, 476 in 12 starts for Tacoma...Posted back-to-back starts of 11 (6/28 at Sacramento) and 10 (7/4 at Salt Lake) strikeoutsto earn Pacific Coast League Pitcher of the Week honors...Recorded 4 starts of 10+ strikeouts...averaged 995 K/90 IP for the season...Made final start of the season Aug 26...shut down for the season after reaching career highs in starts (25) and innings pitched (1391)...Named to Baseball America's Double-A All-Star team...also listed by the publication as the No 3 prospect in the Southern League and Pacific Coast League...selected as havingthe best fastball and as the best pitching prospect in the Southern League...Ranked by MLBcom as the No 13 prospect heading into the 2011 season...Participated in the Major League Baseball Rookie Career Development Program. Moved up to High Desert (A) in the California League...limited to 10 games due to2 stints on the disabled list with a right elbow strain (April 27-May 12, May 17-Aug. 17);appeared in 2 games on rehab assignment with Peoria, Aug. 8-17...won 3 consecutiveappearances, April 19-May 12...struck out 48 batters in 44.1 innings, including a seasonhigh8 strikeouts on April 19 at Lancaster (W, 7.0,6,3,3,0,8,HR). Spent season with Wisconsin (A)...finished 2nd in the Midwest League with a 1.95ERA, while his ERA and strikeouts (128) led all Mariners farmhands...named the MarinersMinor League Pitcher of the Year and Wisconsin's Pitcher of the Year...struck out careerhigh14 batters in 1-hit shutout Sept. 1 at Quad Cities...named Midwest League Pitcherof the Week, Aug. 25-Sept. 1). Spent second season pitching in the Dominican Summer League...went 6-1 with a2.29 ERA (15 ER, 59.0 IP) in 15 games, 12 starts...named Dominican Mariners by ValuablePitcher by the Mariners...participated in the Mariners 2007 Arizona Instructional League. Played in the Dominican Summer League...went 2-1 with a 0.44 ERA (1 ER, 20.1 IP)in 8 games, 3 starts. October 29, 2018 Minnesota Twins activated RHP Michael Pineda from the 60-day injured list. 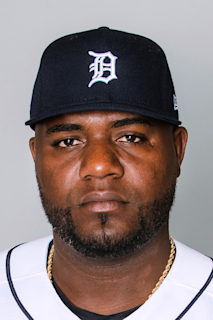 August 21, 2018 Minnesota Twins sent RHP Michael Pineda on a rehab assignment to Rochester Red Wings. August 11, 2018 Minnesota Twins sent RHP Michael Pineda on a rehab assignment to Fort Myers Miracle. August 6, 2018 Minnesota Twins sent RHP Michael Pineda on a rehab assignment to GCL Twins. July 5, 2018 Minnesota Twins sent RHP Michael Pineda on a rehab assignment to Rochester Red Wings. February 17, 2018 Minnesota Twins placed RHP Michael Pineda on the 60-day disabled list. Right UCL injury. December 13, 2017 Minnesota Twins signed free agent RHP Michael Pineda. November 2, 2017 RHP Michael Pineda elected free agency. July 16, 2017 New York Yankees transferred RHP Michael Pineda from the 10-day disabled list to the 60-day disabled list. Right UCL injury. July 14, 2017 New York Yankees placed RHP Michael Pineda on the 10-day disabled list retroactive to July 11, 2017. Right UCL injury. October 7, 2015 New York Yankees activated RHP Michael Pineda. October 6, 2015 New York Yankees reassigned RHP Michael Pineda to the minor leagues. August 26, 2015 New York Yankees activated RHP Michael Pineda from the 15-day disabled list. August 20, 2015 New York Yankees sent RHP Michael Pineda on a rehab assignment to Scranton/Wilkes-Barre RailRiders. August 16, 2015 New York Yankees sent RHP Michael Pineda on a rehab assignment to Trenton Thunder. August 13, 2014 New York Yankees activated RHP Michael Pineda from the 60-day disabled list. August 3, 2014 New York Yankees sent RHP Michael Pineda on a rehab assignment to Scranton/Wilkes-Barre RailRiders. April 24, 2014 RHP Michael Pineda roster status changed by New York Yankees. September 30, 2013 New York Yankees recalled RHP Michael Pineda from Scranton/Wilkes-Barre RailRiders. August 6, 2013 Michael Pineda roster status changed by Scranton/Wilkes-Barre RailRiders. July 7, 2013 New York Yankees optioned RHP Michael Pineda to Scranton/Wilkes-Barre RailRiders. July 6, 2013 New York Yankees sent RHP Michael Pineda on a rehab assignment to Scranton/Wilkes-Barre RailRiders. June 25, 2013 New York Yankees sent RHP Michael Pineda on a rehab assignment to Trenton Thunder. June 8, 2013 New York Yankees sent RHP Michael Pineda on a rehab assignment to Tampa Yankees. March 16, 2013 Michael Pineda roster status changed by New York Yankees. October 31, 2012 New York Yankees activated RHP Michael Pineda from the 60-day disabled list. May 4, 2012 New York Yankees transferred RHP Michael Pineda from the 15-day disabled list to the 60-day disabled list. April 4, 2012 New York Yankees placed RHP Michael Pineda on the 15-day disabled list retroactive to March 31, 2012. Right rotator cuff tendinitis. January 23, 2012 New York Yankees traded C Jesus Montero and RHP Hector Noesi to Seattle Mariners for RHP Michael Pineda and RHP Jose Campos. November 19, 2010 Seattle Mariners selected the contract of Michael Pineda from Tacoma Rainiers. September 23, 2010 Michael Pineda roster status changed by Tacoma Rainiers. August 28, 2010 Tacoma Rainiers placed RHP Michael Pineda on the temporarily inactive list. June 21, 2010 RHP Michael Pineda assigned to Tacoma Rainiers from West Tenn Diamond Jaxx. April 5, 2010 Michael Pineda assigned to West Tenn Diamond Jaxx from High Desert Mavericks. March 5, 2010 RHP Michael Pineda assigned to Seattle Mariners. August 18, 2009 Michael Pineda roster status changed by High Desert Mavericks. August 9, 2009 sent RHP Michael Pineda on a rehab assignment to AZL Mariners. May 19, 2009 High Desert Mavericks placed RHP Michael Pineda on the 7-day disabled list. May 12, 2009 High Desert Mavericks activated RHP Michael Pineda from the 7-day disabled list. April 30, 2009 High Desert Mavericks placed RHP Michael Pineda on the 7-day disabled list retroactive to April 27, 2009.